Aaaa-Ten-Shun! 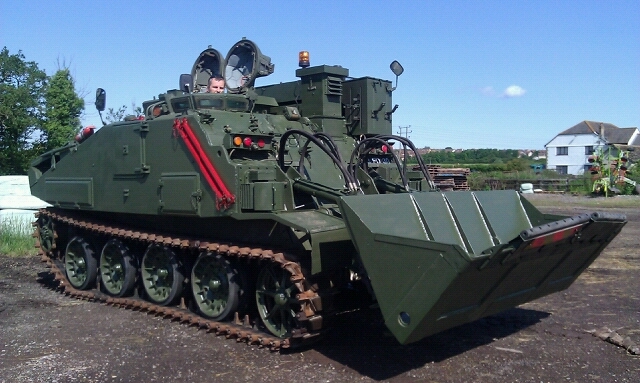 – Drive a real 18 tonne army tank over our custom built Tank Track! Experience the thrill of mud churning action as you get to grips with the controls of these mighty machines on our fantastic courses. Have you ever wondered what it’s like to drive a real army tank?? Wonder no more! Grouped with our other ‘New Recruit’ we run these sessions at 10 am on operation dates. — Take turns at being commander & driver or crew. The New Recruit experience is a grouped activity allowing you to experience the thrill of driving a real 15 tonne army tank! The rest of the troop will take turns in the crew and commanders compartments, so you will have to negotiate the obstacles on the course with consideration (only a little)! 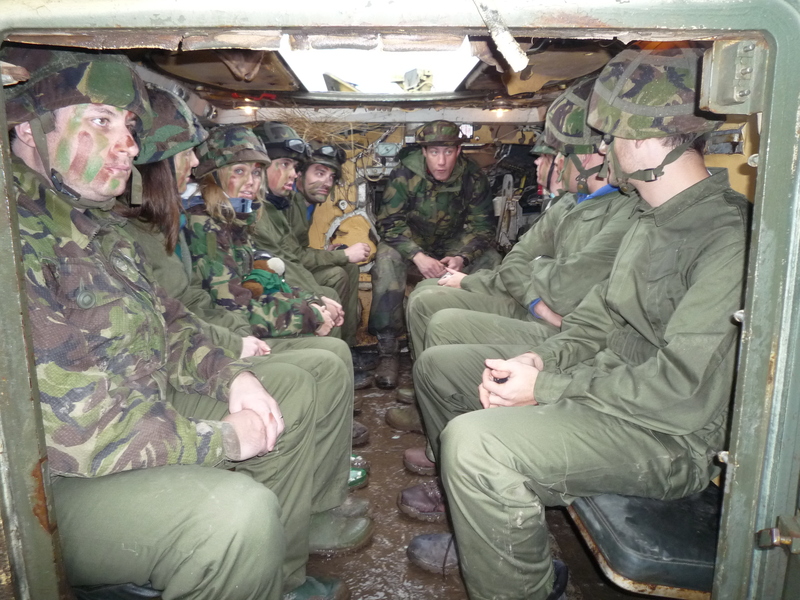 Geared up in army kit, you will firstly have the opportunity to experience traveling in the hull with your troops. We do have seats, but not much else in there. 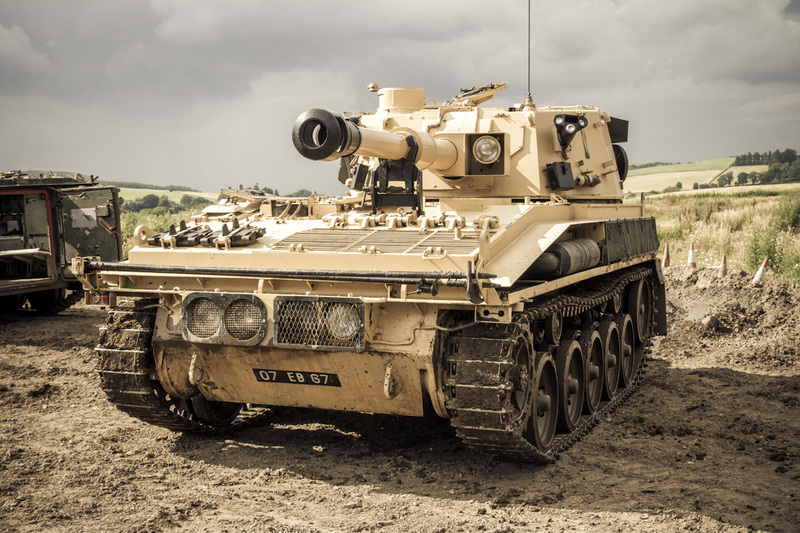 Our tanks are ex-military and have all seen active service - you will see the bullet holes for yourself! This gives you a chance to see what real soldiers encounter, and all you have to worry about is telling your friends what a great time you had! You will also act as commander during the experience, riding out of the hatch directly behind the driver. 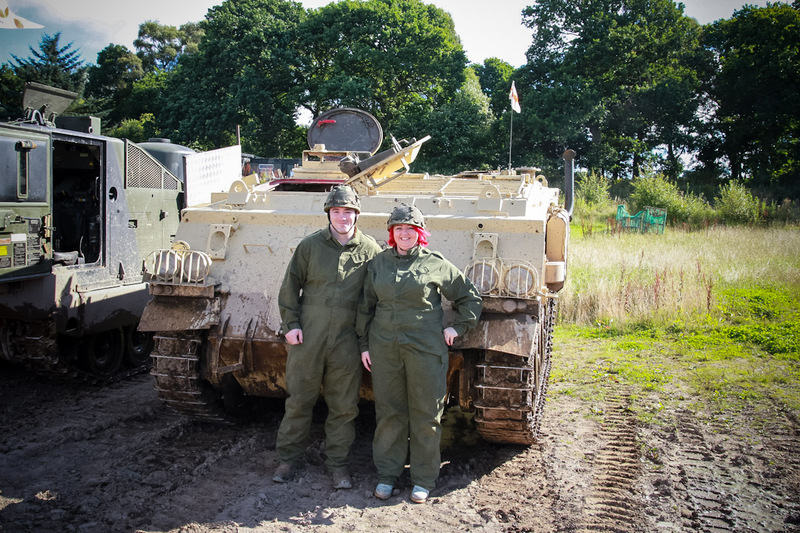 We’ll also drop you off at the observation bunker in the centre of the course, where you’ll have a great opportunity to take some shots at your comrades (Photographic or video of course)! The group will be a maximum of 8 individual recruits, who will all have the opportunity to drive. You’ll be with us for around an hour and a half. New Recruit experiences run on set days each month. The New Recruit Experience is a fantastic outing. It makes for a great gift, or we won’t judge if you treat yourself to some excitement. 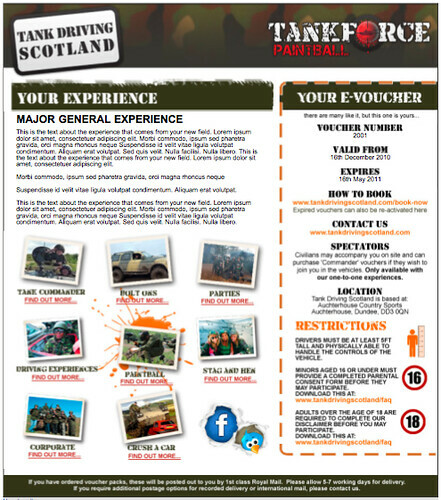 This is a great christmas gift for 2 people to enjoy each others driving skills and share the experience, They get their own tank & personal instructor what more could you want for christmas. 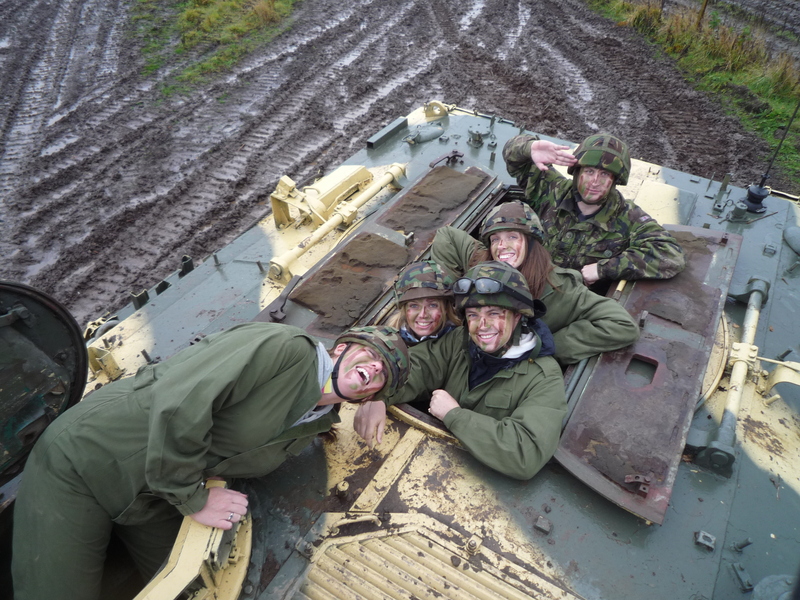 The Abbott & brigadier advanced tank driving session will put you in the drivers seat of a massive mud churning machines to tackle some steep humps and bumps then take control of the Abbot gun tank to drive hatch down round the course ! Please note that to drive our vehicles, you must be over 5ft in height. 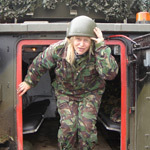 If you are under 5ft, you can purchase 'Commander' experiences and join your comrades for a ride in the vehicles. Had a bad week at work? 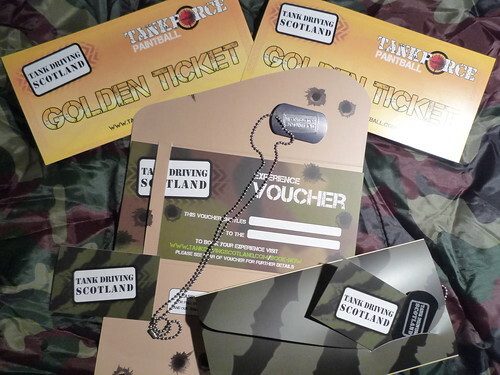 We guarantee Tank Driving Scotland’s crush a car experience can help alleviate your stress! 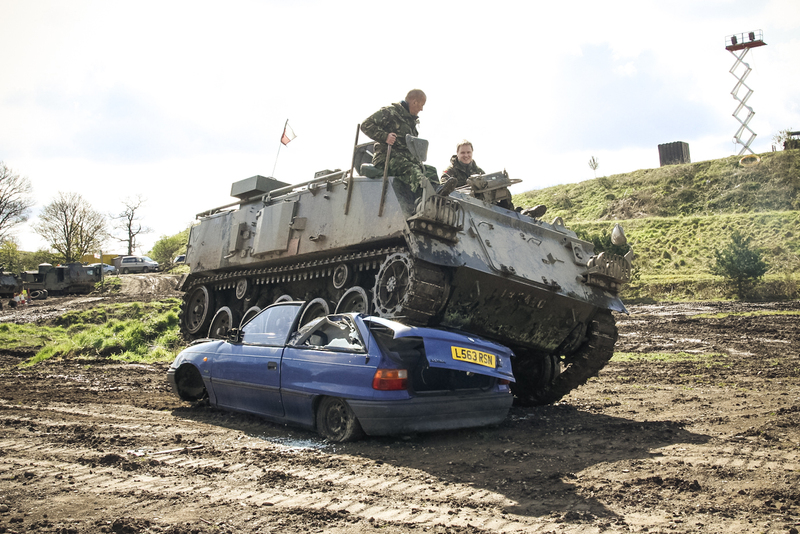 Learn to drive an 18 tonne tank, and finish your experience with squashing a car! 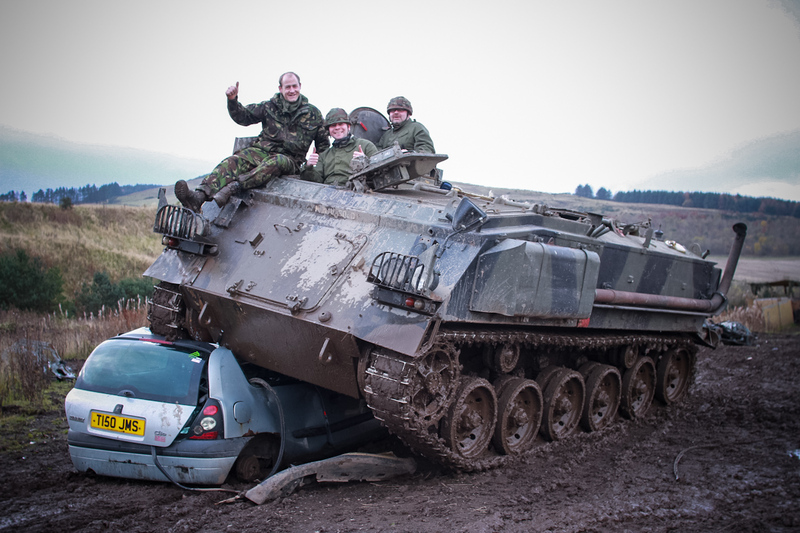 At Tank Driving Scotland, we believe that squashing a car has been clinically proven to relieve stress, increase endorphins and offer you the experience of a lifetime. (Please note that Tank Driving Scotland’s views are not ‘scientifically proven’ – so please don’t send a letter pointing that out). Crushing a car is not actually as easy as it looks. You need to be capable of handling one of our tanks, and able to control the vehicle over the car to ensure maximum squashage. 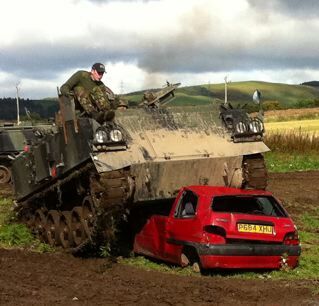 This is why we take you out tank driving off-road first, so you actually get to enjoy two experiences in one!! As part of the Crush a Car experience, you can bring your own car! We will knock off £50 from the price of the experience, and even get rid of the scrap for you. We do ask that any valuables are removed, and signage such as ‘Baby on Board’ taken down, as this could confuse the spectators. Although we think everyone should crush a car in their lifetime, we appreciate this is not the cheapest of experiences. It is however very worthwhile!! 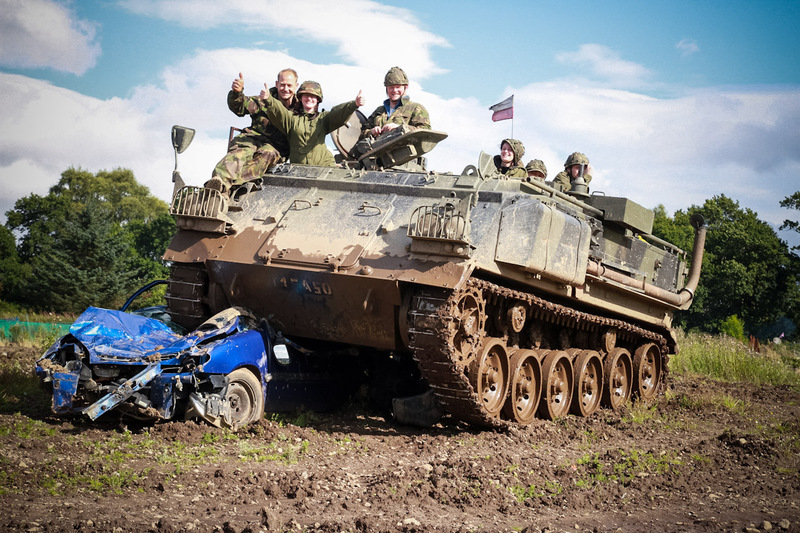 If you work in the corporate world, this is an excellent way to finish your troops day of tank driving, where we will judge all the drivers from the day, and first place earns the car crush. Crushing a car is also an excellent treat for hen/stag events, where everyone has an opportunity to take part in the driving fun on our other packages, with the ultimate ending reserved for the bride, or groom to be. If you all chip in, it’ll be worth it, honest! Why not bring your friends or family with you on the day of your experience? (You can’t put mother in law in the car I’m afraid). Please see our Civilian Voucher for further details. 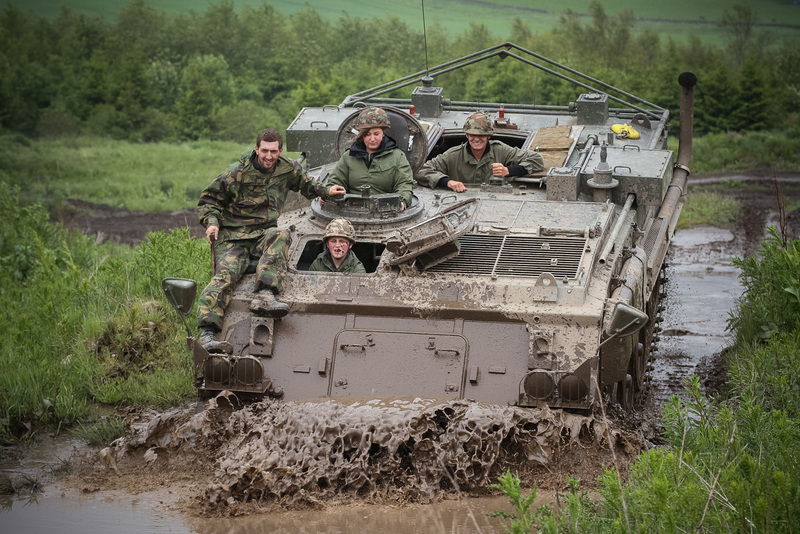 After your experience, as long as the tank comes back in one piece, Driving Scotland Certificate of You’ll be with us for around one and a half hours during this fantastic experience. Bolt on additional activities to your experience!